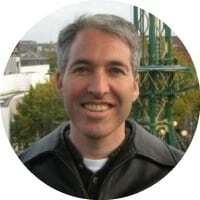 Mike Tholfsen is a Principal Product Manager on the Microsoft Education team focusing on OneNote Class and Staff Notebooks, Learning Tools and Microsoft Teams. He is a 22 year veteran at Microsoft and passionate about education. Mike has been regularly working with students and teachers around the world over the past decade to create products that improve student outcomes. While I don’t have an explicit education background, I have been interested in the intersection of education and technology for a long time. In 2004, I was at Microsoft working as an engineering manager on early versions of OneNote. I became interested in the idea that OneNote could be a transformational tool in the education space, much beyond the note-taking tool it had been initially designed as. As a side-project, I began experimenting with new education concepts involving OneNote, and worked closely with many schools and teachers around the world to gather feedback and iterate on ideas. Later on, after we built the OneNote Class Notebook, I started using Twitter to engage and learn from teachers, principals, and staff. I also have done innumerable school visits, conferences, and Skype calls to really try and understand the pain points that educators face with technology. I’m relatively new to the accessibility and inclusion space. A few years ago I joined an internal Microsoft “Hackathon” project that focused on taking the latest science and fusing it with technology to help students with dyslexia. The Learning Tools project won the Microsoft Hackathon, and I worked with my team to turn the prototype into a product, and along the way became deeply immersed in dyslexia, as well as topics of inclusion, accessibility, and equity. Helping teacher’s save time – at the most basic level, I am a huge believer in technology helping teachers save time and spend more time on what they are most passionate about. This is where technology can really help a teacher scale out in ways that haven’t been possible in the past. Assistive Technology – assistive technology will continue to improve and level the playing field for more and more students. There will be continued improvements in the cognitive disabilities space that will go much further than what is possible today, allowing inclusive classrooms to flourish even further. Personalized Learning – another area where technology can help teacher’s scale to a larger set of students is personalized learning. Many teachers already personalize instruction to meet a student’s needs, so I’m particularly interested in how technology can help provide additional insight to the teacher across a set of students and classes. Ultimately, the goal here is to help improve students outcomes. All three of these companies create amazing education products that also have raving fans that engage the EdTech community. Product Development, Webinars, Speaking Opportunities, Webinars, Podcasts, TweetMeets. Easiest way is to reach out on Twitter directly – @mtholfsen. LinkedIn also works.